Alva Mooses, Claudia Cortinez and Pedro Wainer developed a workshop to investigate surface and impressions at Arts Letters & Numbers for the Constitution Workshop. 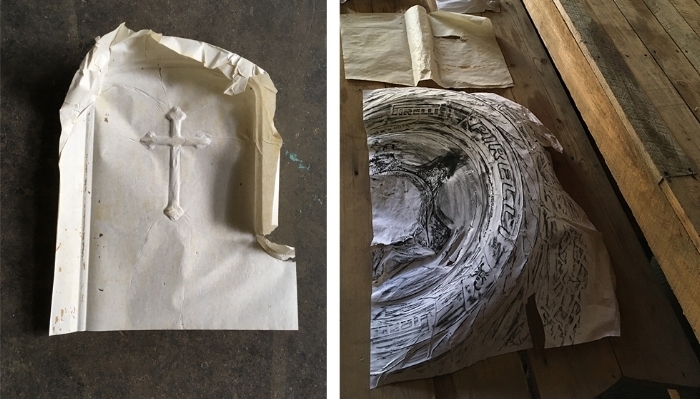 Participants explored various methods for creating imprints, traces and transfers of the surrounding architectural spaces and objects on paper. Photos by Zele Angelides, courtesy of Arts Letters & Numbers.